"This recipe is an Ukrainian one of my Great-Grandmothers passed down from the years. They are great with melted butter and sauteed onions, or fry if desired. They can also be frozen between layers of plastic wrap." 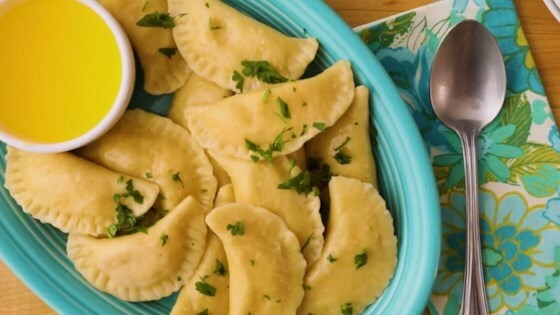 Classic Ukrainian and comforting cheese dumplings. This is like the recipe I use, but I use real cheddar and I add a big blob of sour cream to the dough. Also, half of them I make with sauerkraut filling!